Contesting is one of the best ways to enhance customer engagement. People love to win prizes and are typically willing to give up their contact information and other data to get something free. The problem with this is that after the contest is over, the engagement is over as well. Facebook and Twitter may seem like excellent forms of engagement, but they have one big drawback. The problem with engaging on these social media platforms is that you’re sending customers to other websites instead of keeping them engaged on your site. Social media is an amazing source of engagement, but there is risk that you could lose your audience. Well DC-based serial entrepreneur Craig Zingerline, one of the cofounders of Barrel of Jobs, has launched a new startup called Bracketeers. They offer longer tail engaging contests, typically tournament style like March Madness. The goal: keep the customer engaged and coming back. “All businesses want hardy, exciting relationships with customers and more potential to reach new ones. However, engagement and list building is challenging and costly. Existing social marketing and contest platforms are expensive – often starting over $5k/month – and businesses are at the same time sending users out to Facebook when they could be keeping them on their own websites. We provide a cost-effective, easy-to-use, and FUN way to enhance customer relationships,” Zingerline told us in an interview. In addition to providing customers with a fun and engaging way to improve a customer relationship, the user, or brand is getting valuable data from the experience itself. We got a chance to talk with Zngerline about Bracketeers. Check out the interview below. 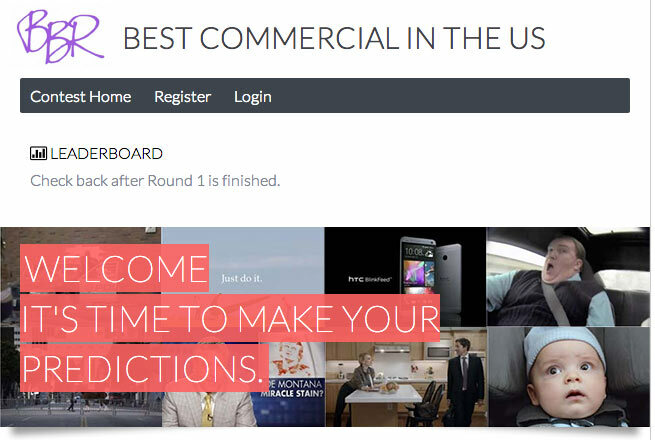 Bracketeers is a SaaS web-based platform for connecting companies & brands to consumers through voting and list contests. We offer “March Madness” style tournament Prediction & Voting Brackets as well as matchup based voting. Our clients grow their audience and marketing list with high engagement contest tools, and have more fun while spending less money doing so. Craig Zingerline, Co-founder & CEO – Craig is a 15 year veteran of web technology and brings deep team building, product development and strategy to the team. Craig provides pragmatic leadership and direction to the company and started developing web-based applications while in college. He has been both founder and executive of multiple startups, and has also worked for and consulted with dozens of small to large firms. Craig earned his Bachelor of Science in Information Management and Technology from Syracuse University. Stephen Phillips, Co-founder & CTO – Stephen’s career has spanned close to 20 years, building enterprise applications in a myriad of technologies for major brands. During that time he has held the role of CTO, Technical Architect, Consultant, Senior Software Engineer, and business owner. Prior to founding Bracketeers, Stephen held the role of Technical Architect for Accenture, one of the world’s largest consulting firms, working with major brands like Google, Motorola, Godiva, and Taylormade-Adidas-Ashworth. Prior to this, he founded Cardiff Creative, an interactive consulting firm, building an impressive portfolio of premier life science companies. We’re based in Washington, DC and San Diego, CA. We are the only company offering prediction & voting bracket contests that we know of. Our platform is getting great input from the market, and with all of the high profile enterprise acquisitions of social contest tools (i.e. Wildfire acquired by Google) there is an opportunity in the lower cost SMB segment to reach a huge number of clients who have been priced out of other platforms. We have multiple paying clients now, including monthly and yearly subscriptions and are just getting started! Our system has collected tens of thousands of leads for our clients, and we’ve seen over 1.6 million votes tallied so far. We’re looking to raise a seed round to continue building our team, refining our product, and ramping up marketing and sales efforts – we’ve been growing solely on word of mouth so far. Bracketeers will be in the Startup Vilage at this huge startup conference.